Ermin Plant & Tool Hire is a privately owned company and is dedicated to supplying a guaranteed knowledgeable, efficient and quality service. Established in 1966 in Gloucester we grew successfully as a company and opened depots in Cheltenham, Stroud, Cirencester, Worcester and Ross-on-Wye. The new depots enabled us to cover a wider area and therefore offer our customers an even better service along with making ourselves available to new customers. Our branches and workshops are all linked so all our account customers can have great flexibility. We welcome all types of customer:- civil engineers, local authorities, public utilities, ground workers, factories, farmers, landscape gardeners and private DIY and gardening enthusiasts. With our wealth of experience and vast range of quality plant and tool hire items, we are confident that we can deal with all enquiries, together with the exacting standards that the industry quite rightly demands. Our modern fleet of vehicles enable us to deliver equipment in a fast and timely manner, whilst our fleet of mobile service vans guarantee we can respond instantly to any unforeseen incident or requests. We repair and service all our own plant and machinery as well as providing a comprehensive service and repair facility for our customers. We also sell a large range of tools and equipment and are main agents for most leading brands including Stihl and Bosch. 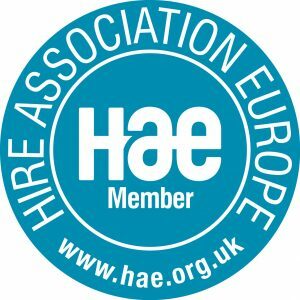 We are also a qualified Training Centre and can offer training For IPAF, PASMA, Abrasive Wheels, Lanyard & Harness and Digger & Dumper training. We hold all our training seminars at our Gloucester head office using our own machines and tower. Our staff of over sixty have a long and wide range of experience and include qualified electricians, diesel and petrol fitters, HGV drivers and trained counter staff, all keen to give help and advice. We also have a full time health and safety officer to ensure the quality and safety of our systems and equipment are always maintained and fully comply with current legislation.